Catch up TV on The Block. 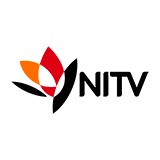 Watch the latest and all other episodes of The Block now online, broadcasted on Channel 9. 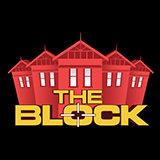 Catch up on your favorite Channel 9 TV show: The Block. Replay tv on its best! The show begins in an old movie theatre in Melbourne's Albert Park. 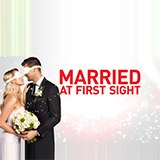 Two couples, both die-hard fans of the show, compete to become contestants. They're each given $10,000 and 24 hours to create a down town New York loft style apartment. An argument erupts between Hans and Sara regarding Hayden's unwillingness to help the group. The second and final week of the challenge apartment begins. The Blockheads compete for their last chance to knock some money off their reserve prices at auction. It's Challenge apartment week one room reveals. The judges decide which couples get a share in the Ninety thousand dollars up for grabs to take off their reserves at auction. The scaffold around the exterior comes down and the glorious Gatwick is revealed. After nominating Hayden as challenge apartment Treasurer, Sara un-nominates him giving all the power to the penthouses. Our five teams begin week one of the Challenge apartment. The rooms are allocated and No one wants the dreaded hallway, but someone has to do it.